Directions: From Boulder, take Flagstaff Road west until it turns into Gross Dam Road. 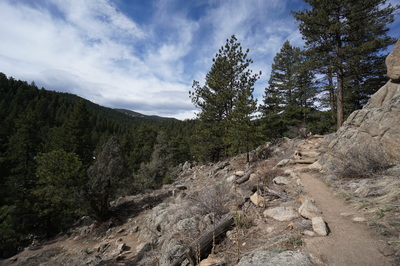 Follow Gross Dam Road to the North Shore Parking area but instead of turning right into the parking lot, turn left and follow the good dirt road through the park for about 2 miles to the South Boulder Trailhead. From Denver, take I-70 W to 93 North. Turn West on Hwy 72 to Gross Dam Road. 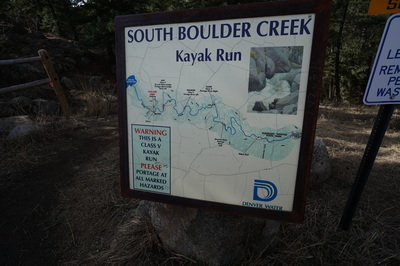 Follow Gross Dam Road down towards the reservoir, when you see the park sign and map, turn right and head uphill, on your way up the South Boulder Trailhead will be on your right. 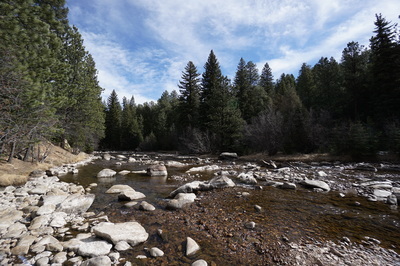 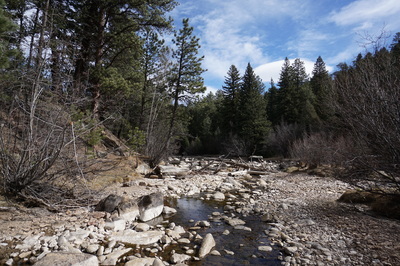 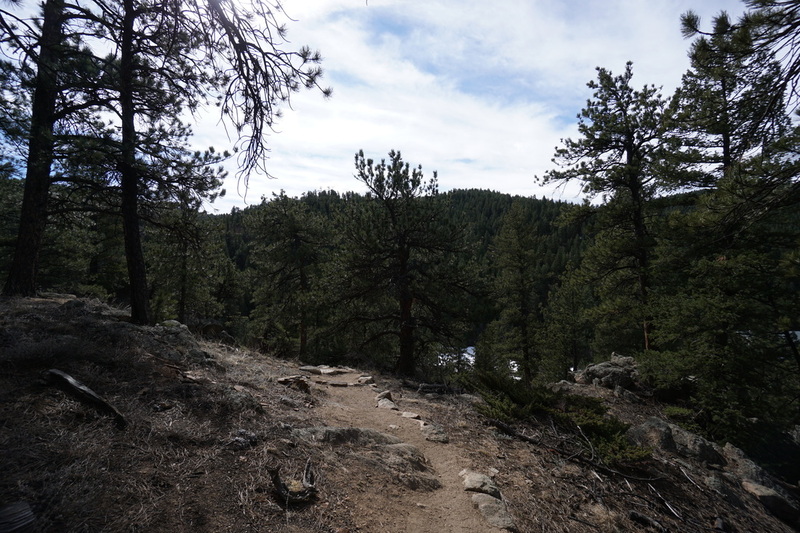 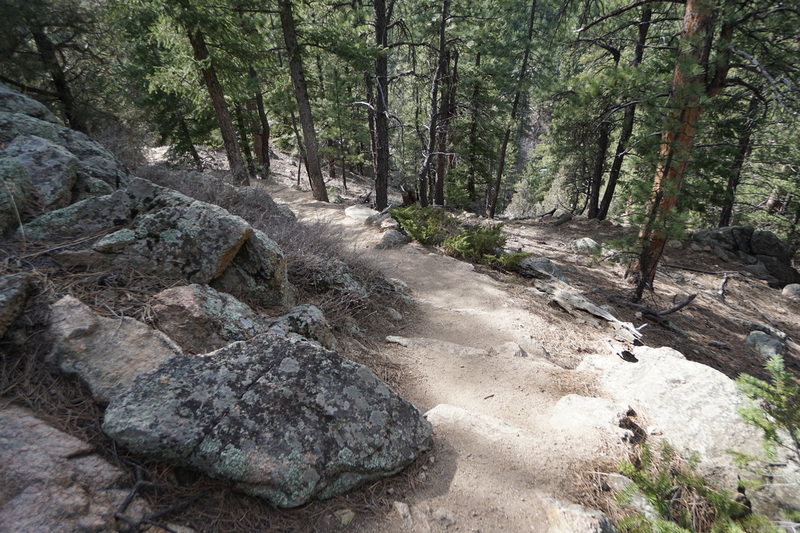 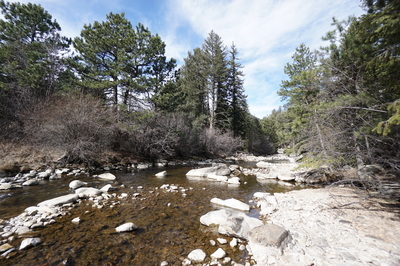 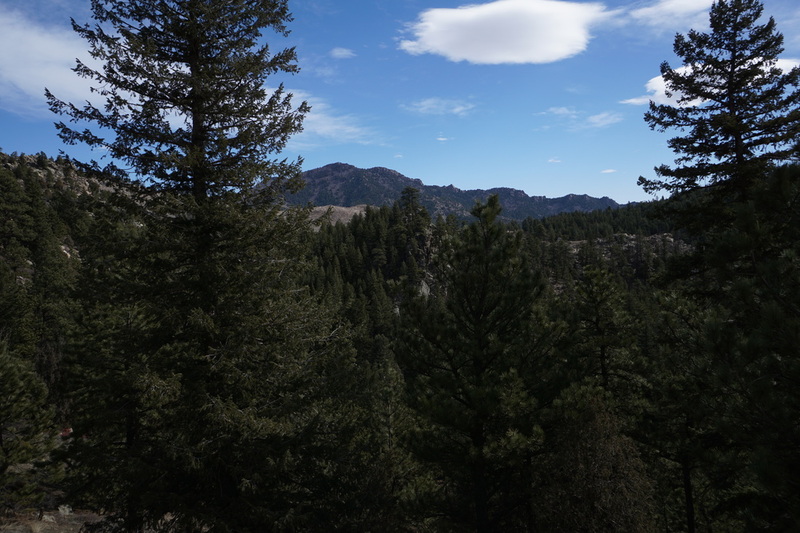 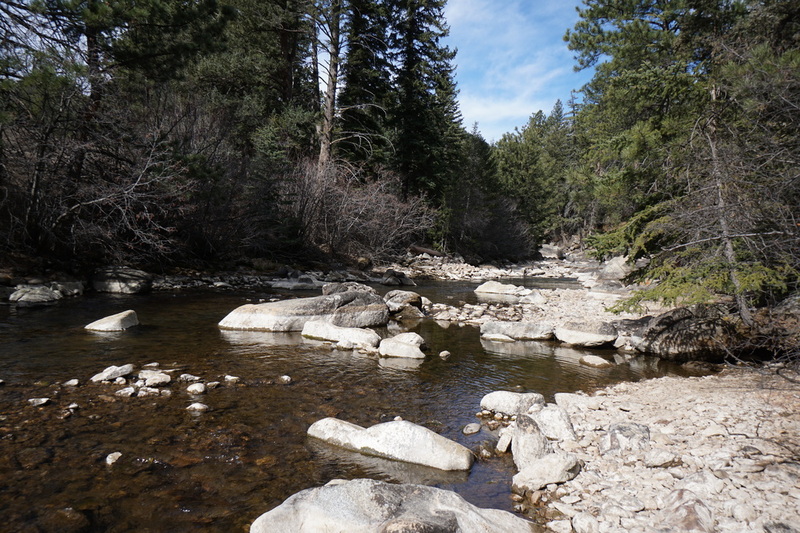 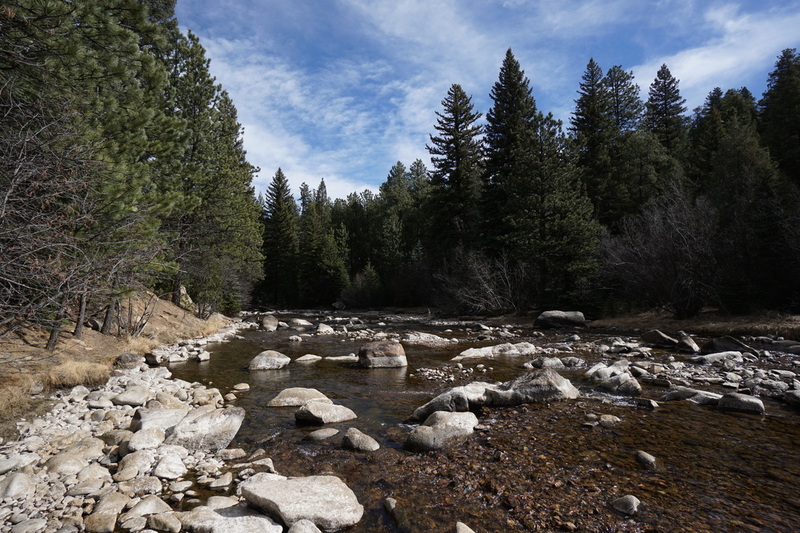 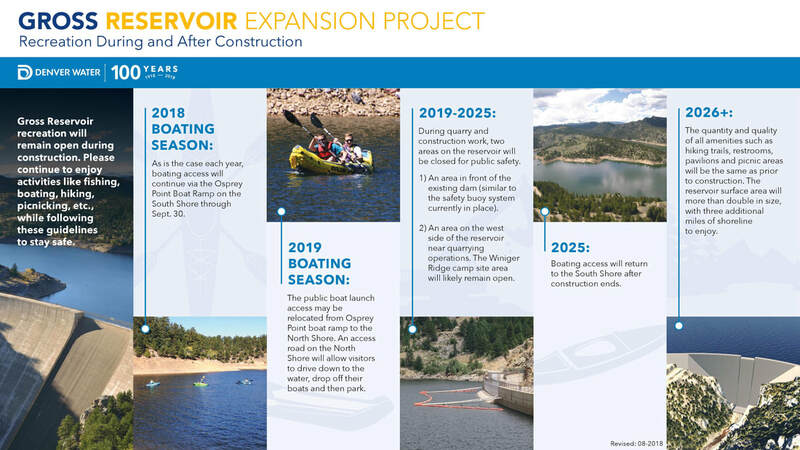 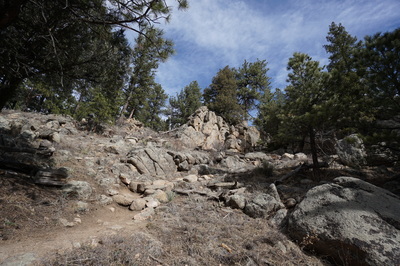 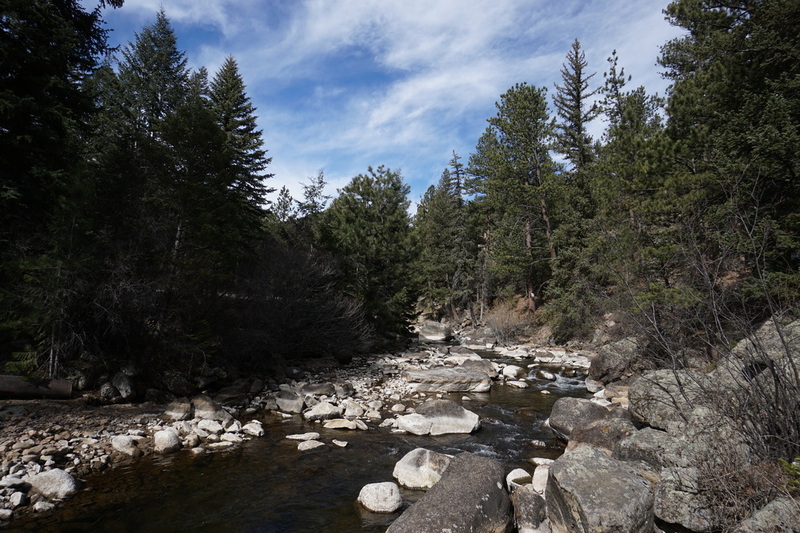 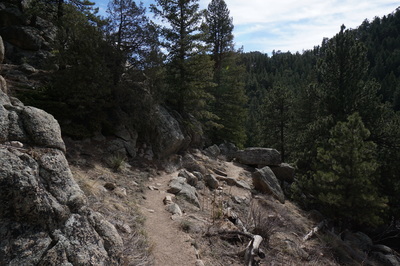 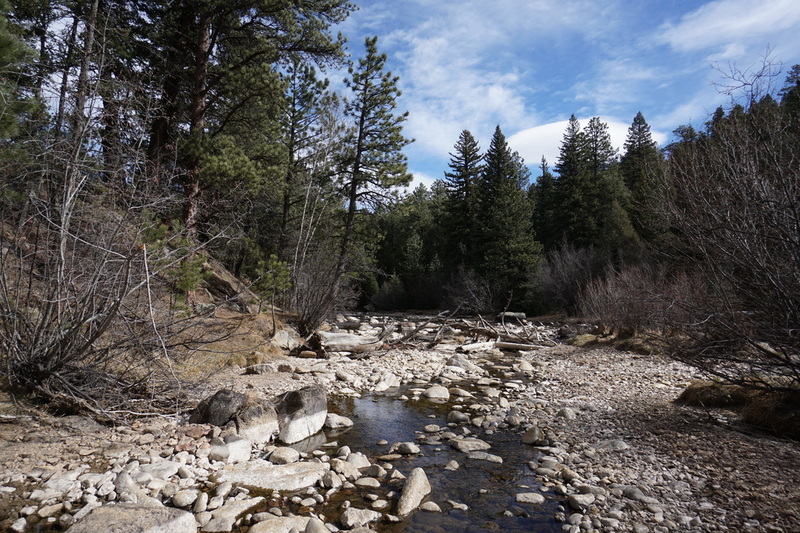 Gross Reservoir’s South Boulder Creek Trail is mainly for fishing access. 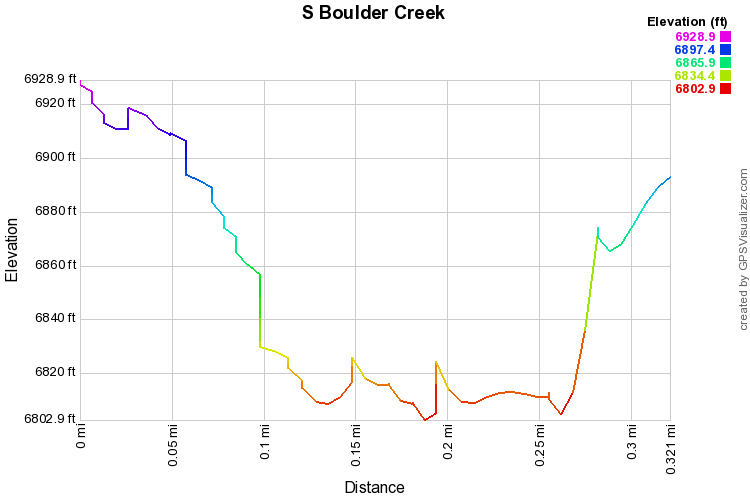 However, it is also a nice quick way to walk along the serene shores of South Boulder Creek. 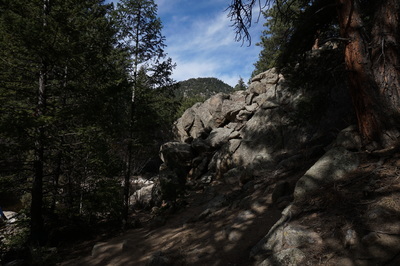 The trail from the parking area switchbacks down to the river, somewhat steeply. When you reach South Boulder Creek, you can turn right and follow the creek upstream until you see the no trespassing sign, or turn left and follow the creek downstream for a longer walk. 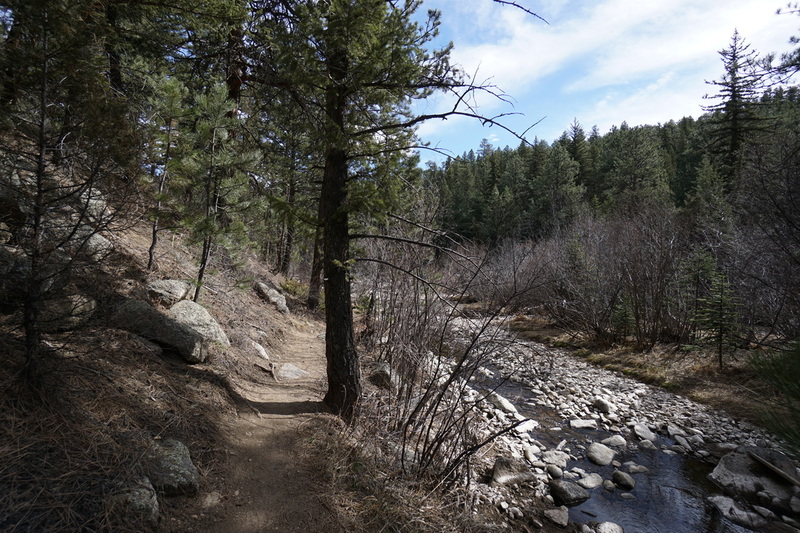 We haven’t followed this trail as far as it goes, but there is plenty of trail to stretch your legs and find a quiet creekside place to relax or fish. When you’re done relaxing follow the trail back up to the parking area. Be sure to stop and explore some of the rock outcroppings for nice views and fun rock scrambling.